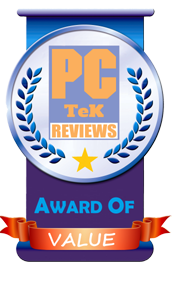 19 February, 2018 Rakesh Sharma Reviews . 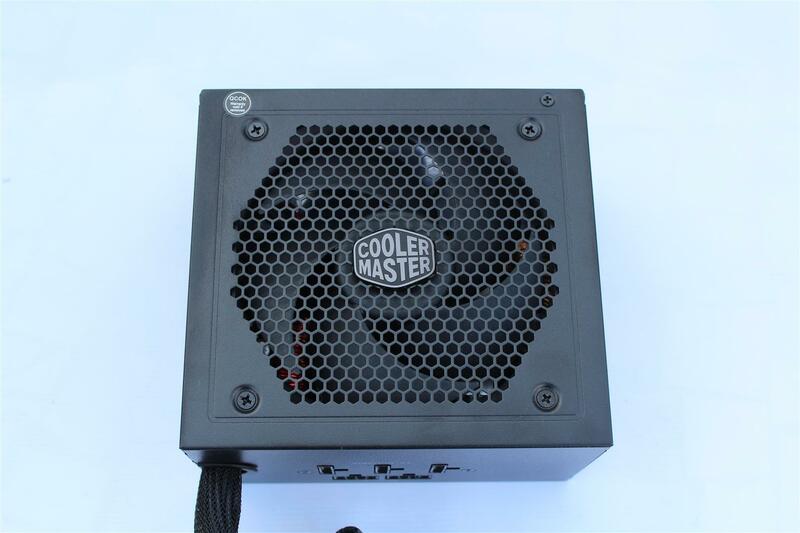 Cooler Master is one of the most successful brand when it come to PC cases, cooling solution and PC power supplies. 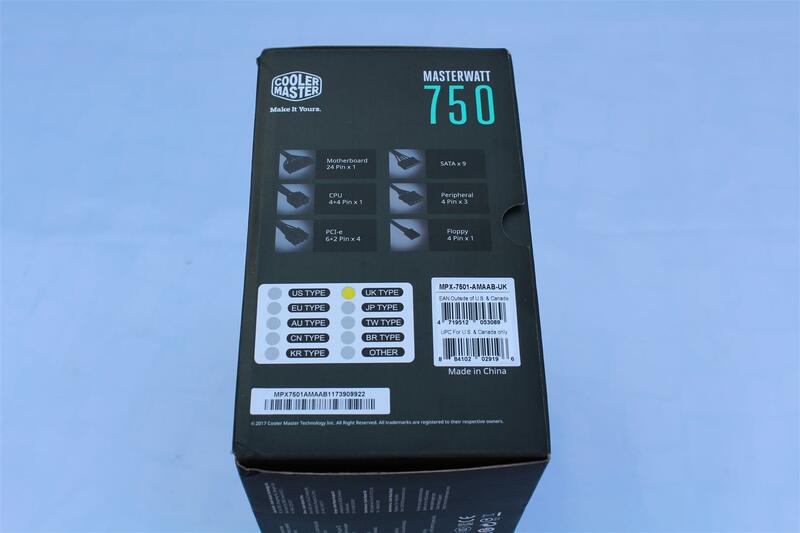 Now they are broadening their range with the latest MASTRE branding. 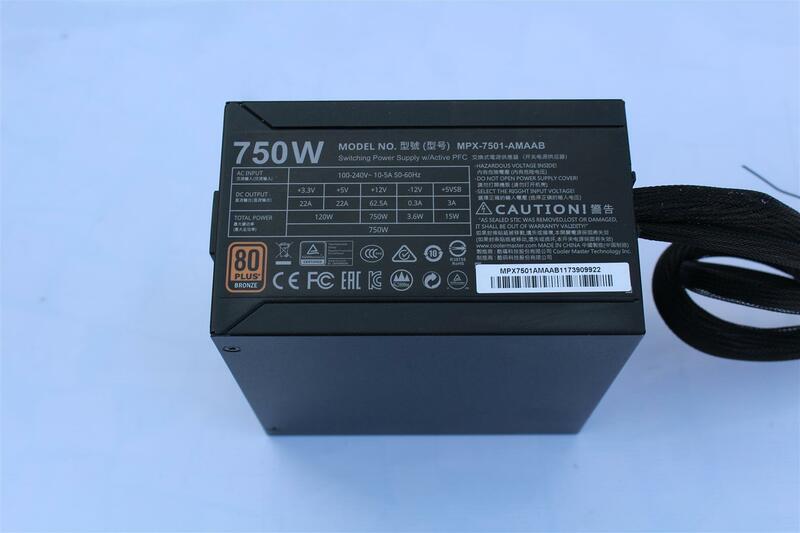 Product under this MASTER branding is covering from enthusiast to mid-range market. 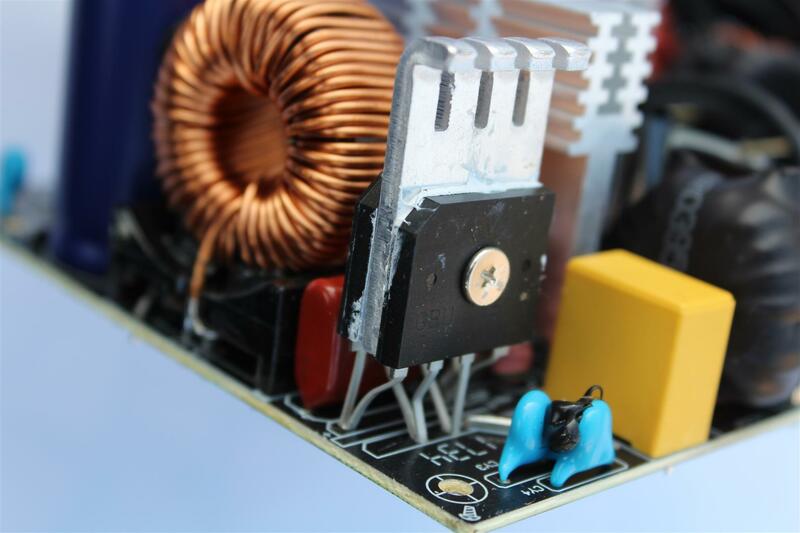 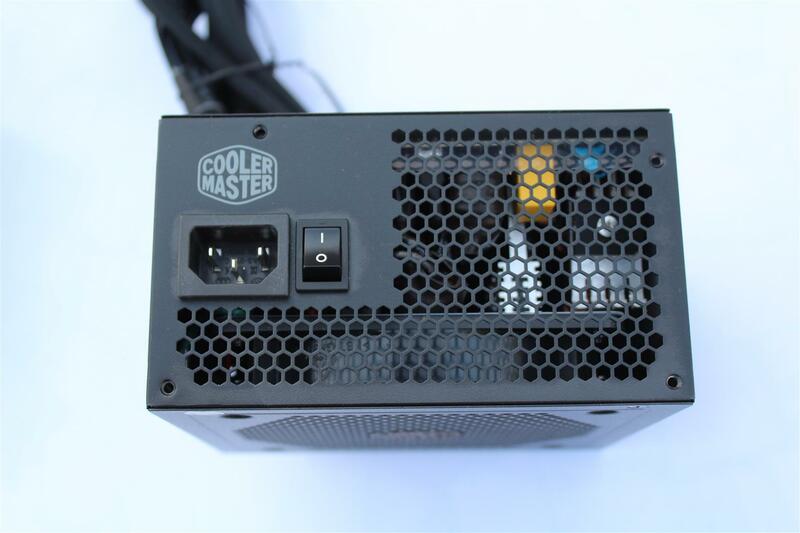 Cooler Master Power supply product line already received great awards globally. 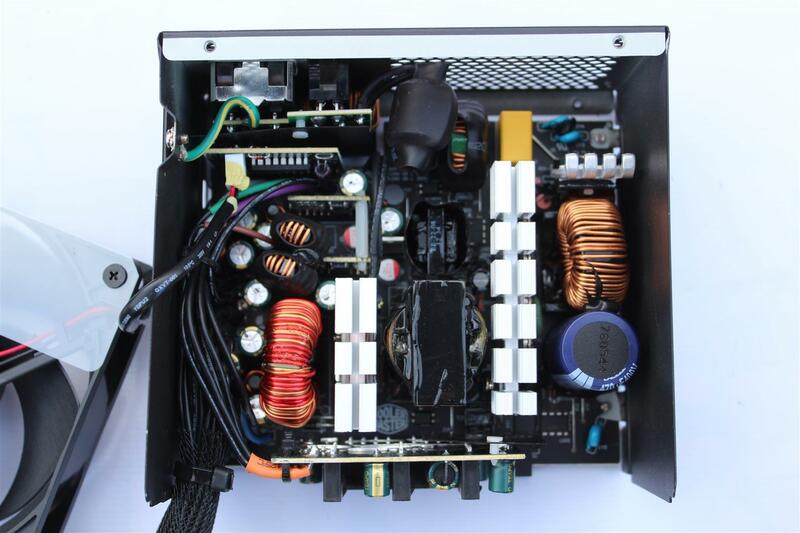 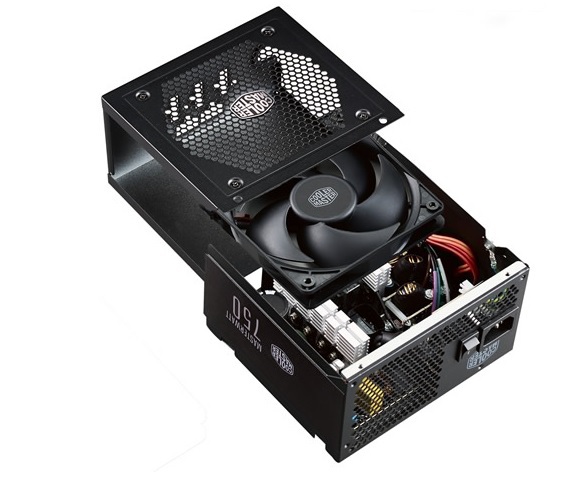 The MASTERWATT MIJ is sure to be one of the best PSU available in the world of power supplies. 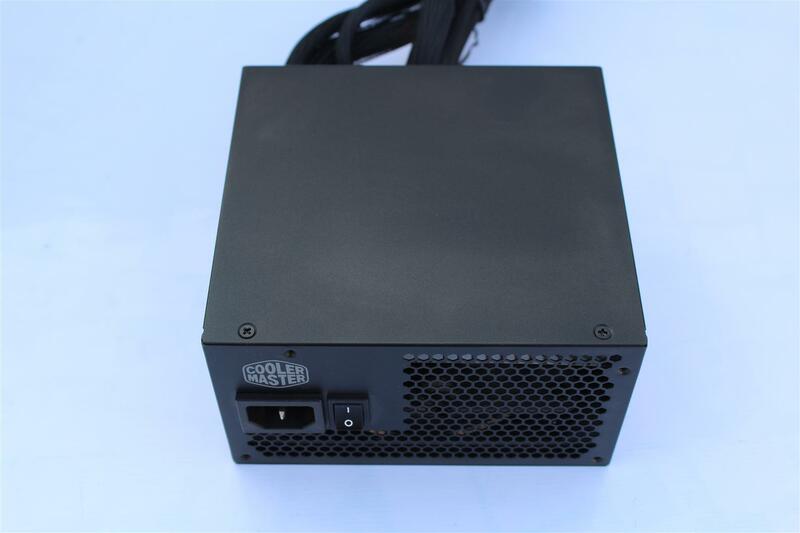 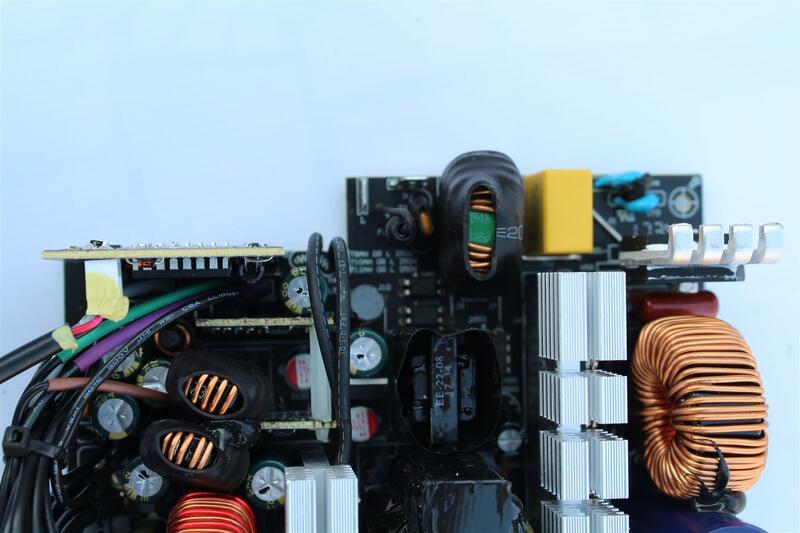 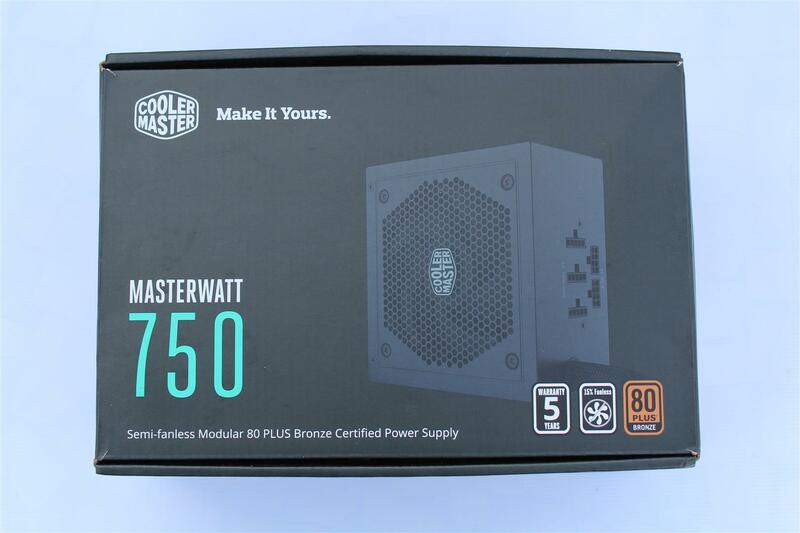 Today we are reviewing a new 750 watt PSU version from the Cooler Master MASTERWATT 750 Power Supply, a 750 watts Semi-fanless Modular 80 PLUS Bronze Certified Power Supply with high performance DC-DC module design and durable LDB bearing fan. 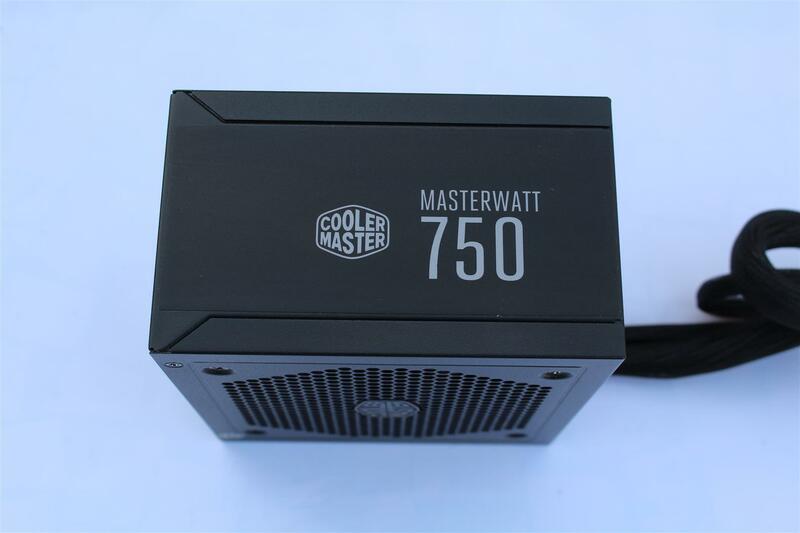 Now let’s see what this Cooler Master MASTERWATT 750 PSU has for us. 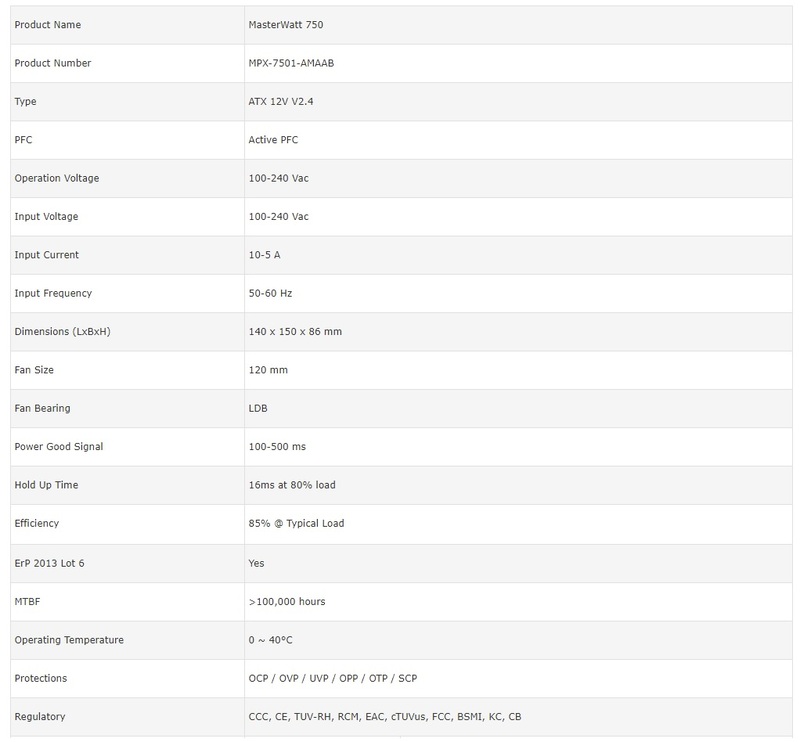 80 PLUS Bronze Certified : The 80 PLUS Bronze certification guarantees that MasterWatt delivers an average efficiency of 85%. 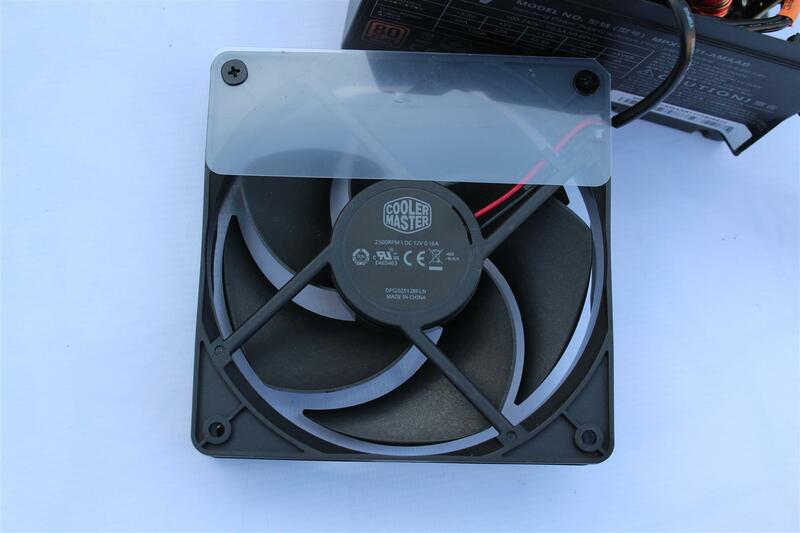 Durable LDB Bearing : Cooler Master 120mm Silencio FP fan combines sealed LDB bearings with quiet fan blades offering a long lifetime of quiet cooling. 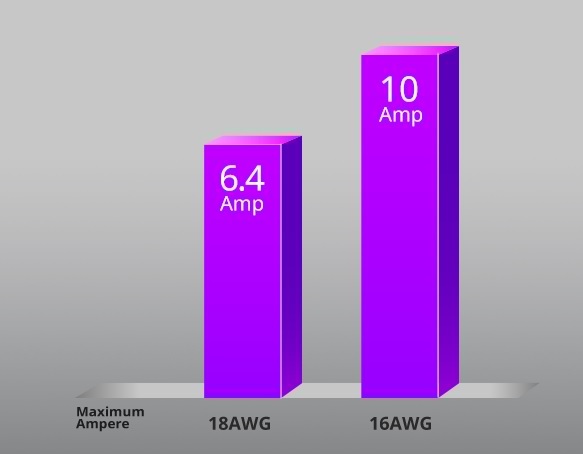 Semi-Fanless up to 15% load : MasterWatt Operates at 0dB under 15% load. 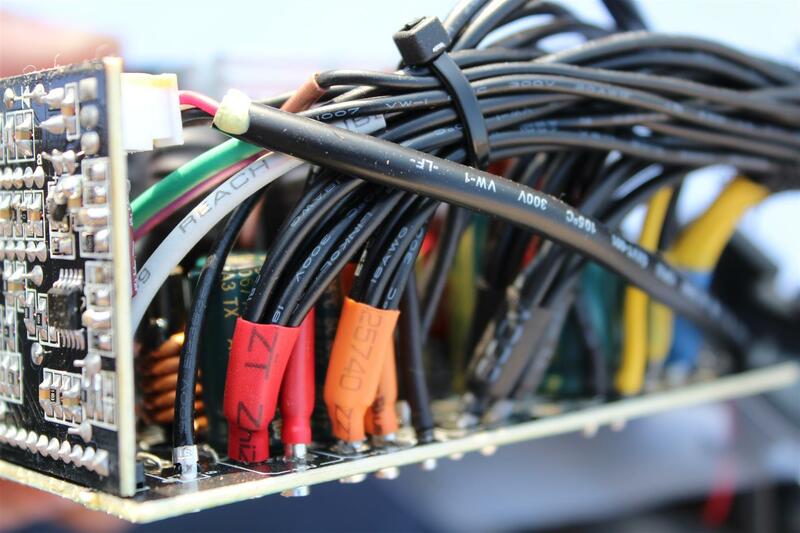 Experience noise-free basic computing. 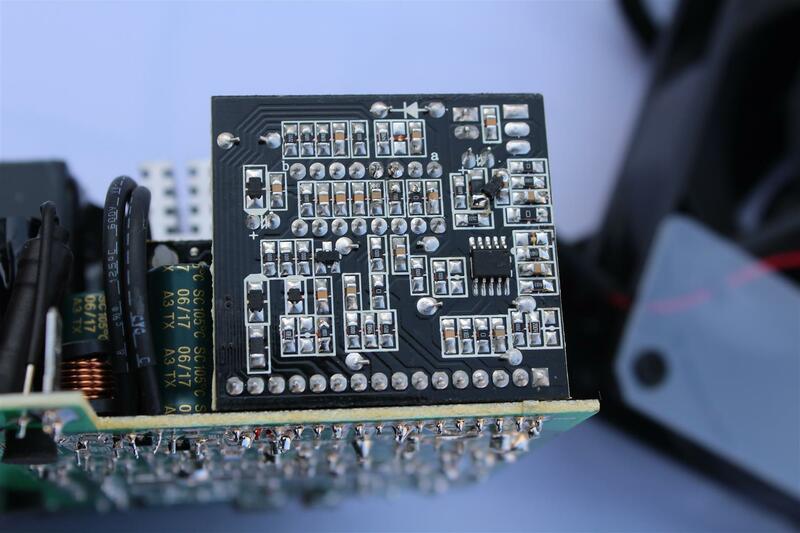 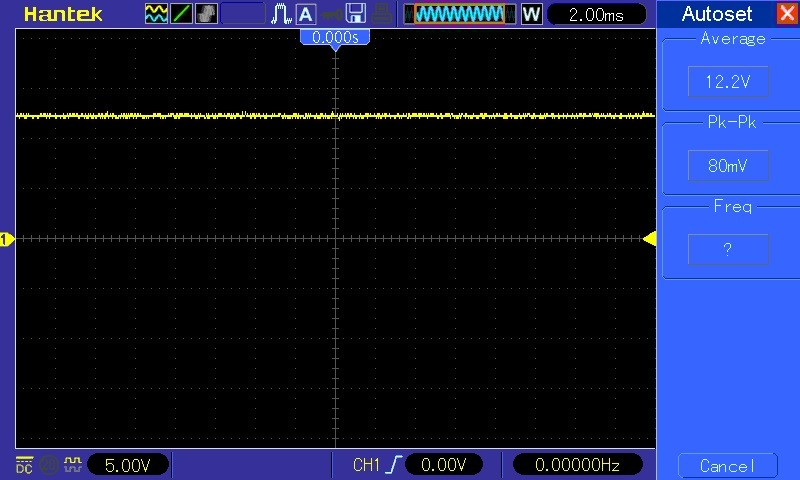 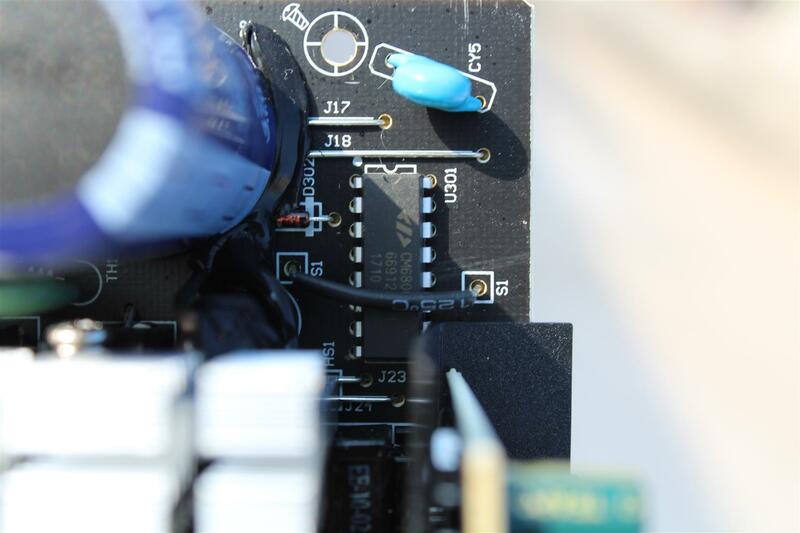 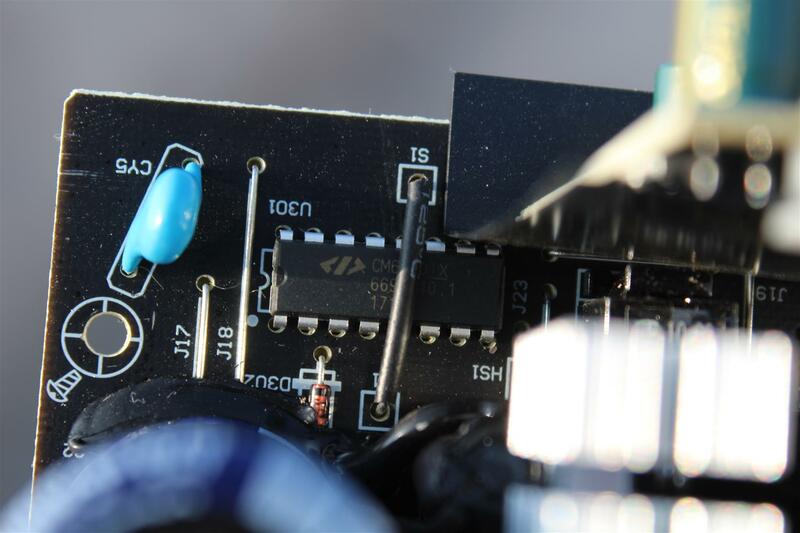 Dual Forward and DC-to-DC Circuit Design : The Dual Forward and DC-to-DC circuit design offers reliability and stability.This is especially significant in +3.3V and +5V outputs. 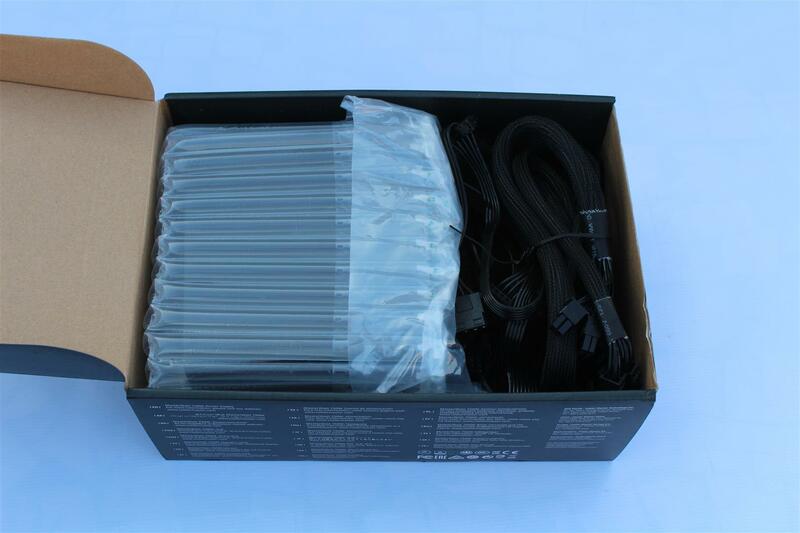 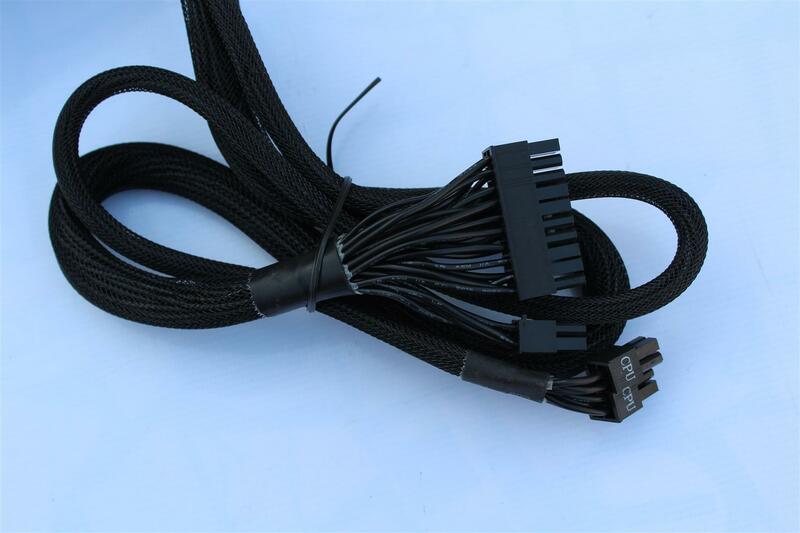 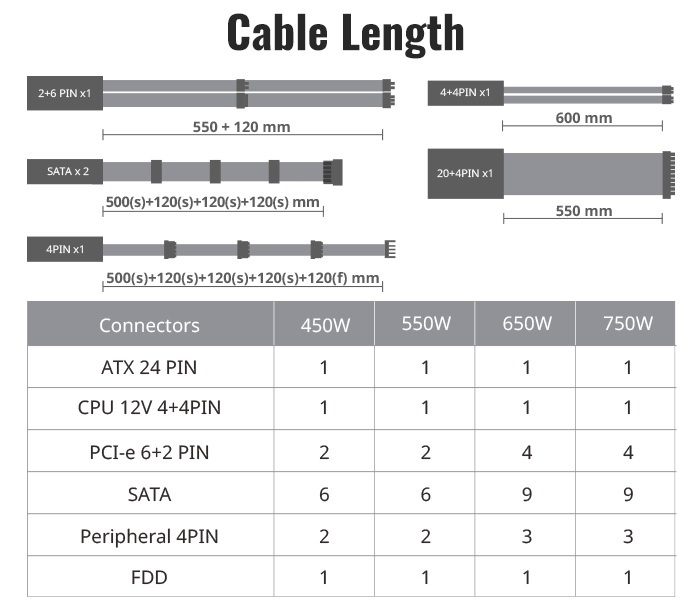 More Conductive PCI-e Cables : The MasterWatt uses 16AWG cables for PCI-e cables. 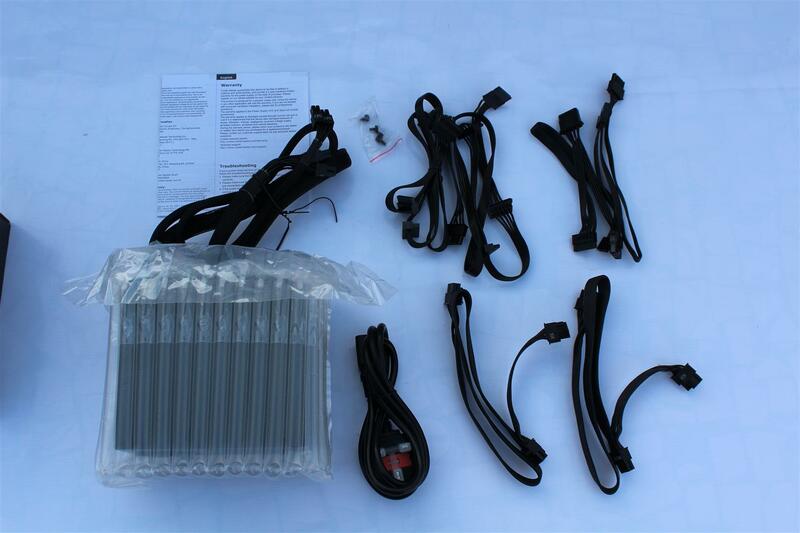 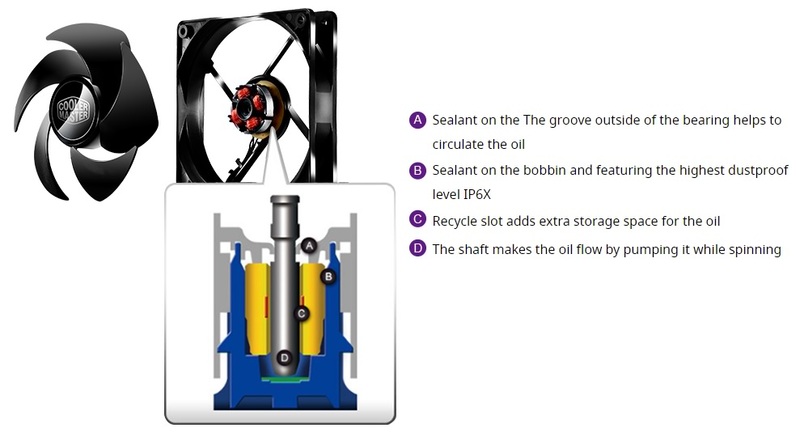 Less resistance and better efficiency, providing you a safer user environment. 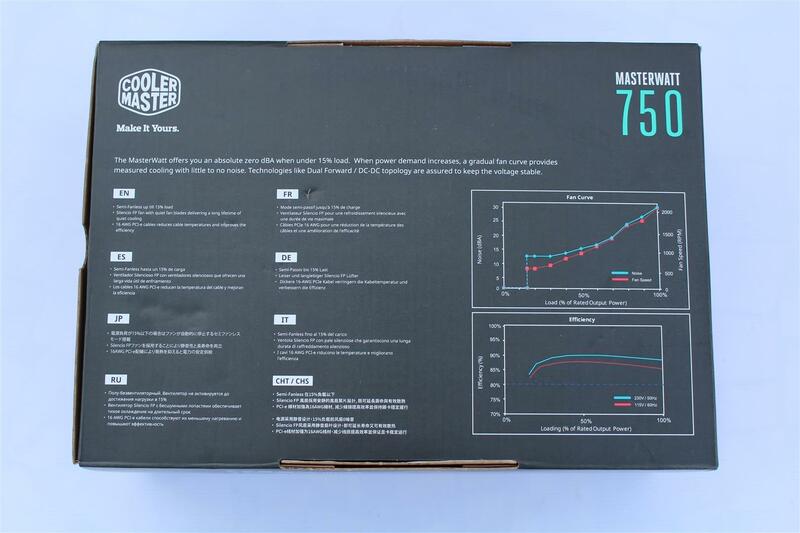 Cooler Master MASTERWATT 750 comes in a securely packaged box with PSU graphics, Model name and features highlights on front and the back of the box. 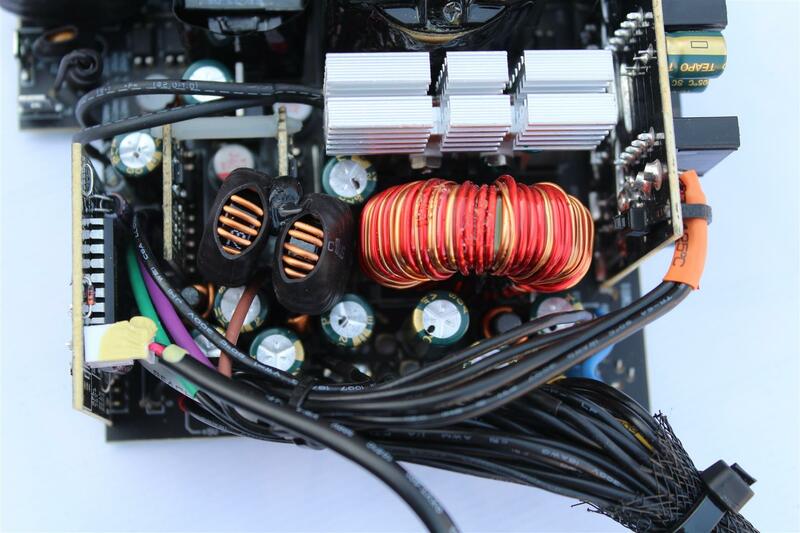 Cooler Master has done a great effort on aesthetics of the PSU. 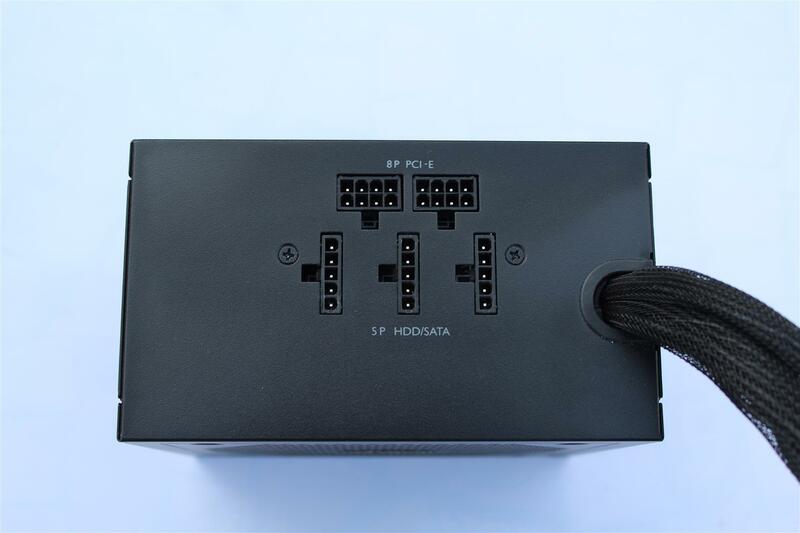 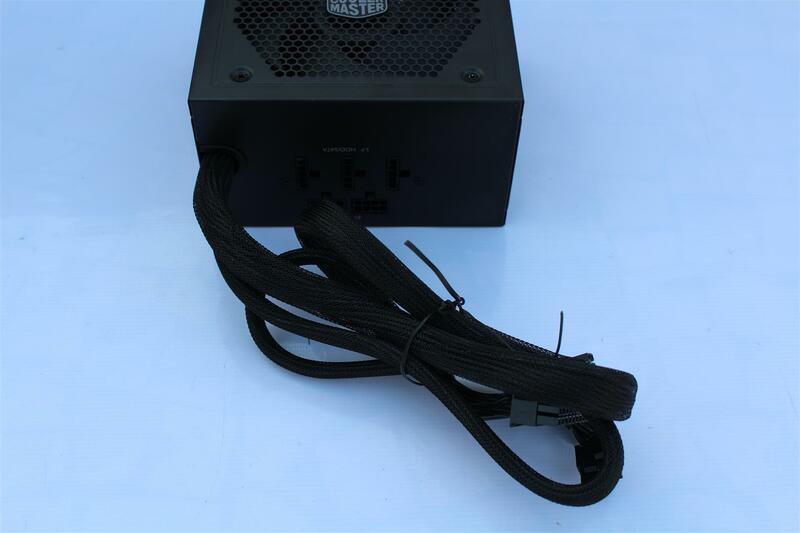 With a matte black paint and slight touch of White along with full black flat cables, gives the PSU a premium rich feel. 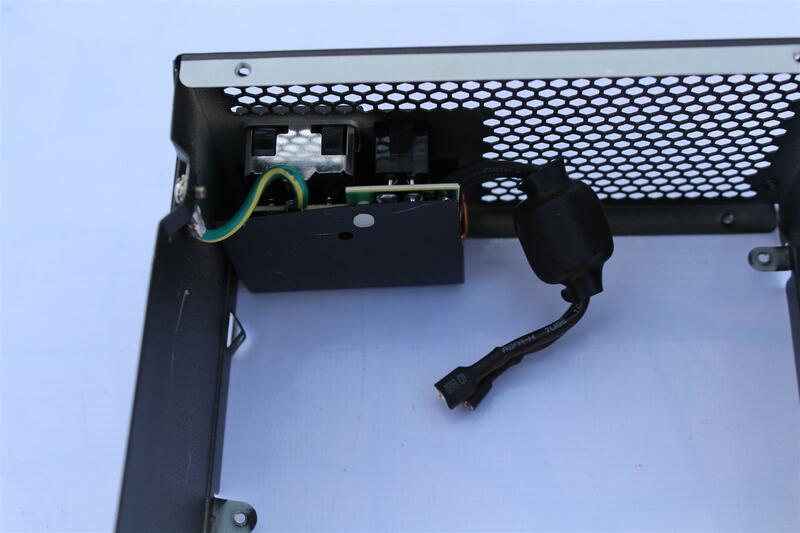 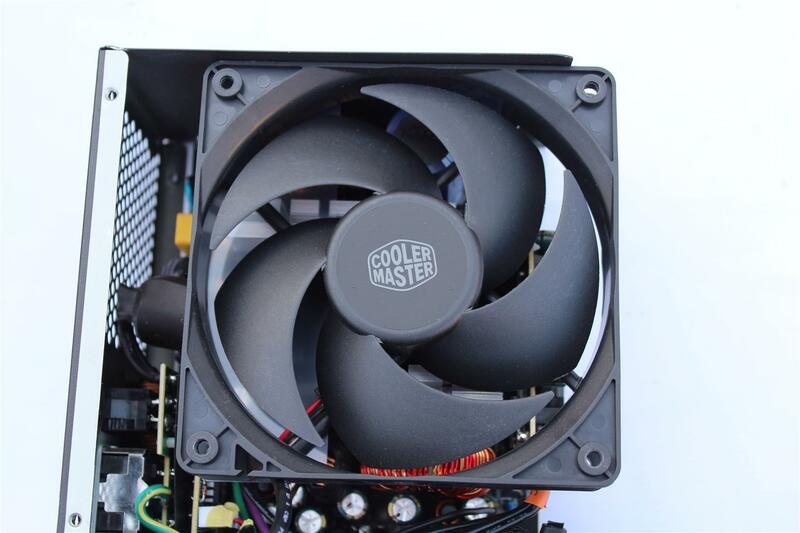 Cooler Master uses 120mm Silencio FP fan combines sealed LDB bearings with a 12 V and 0.16 A rating inside the Cooler Master MASTERWATT 750 power supply. 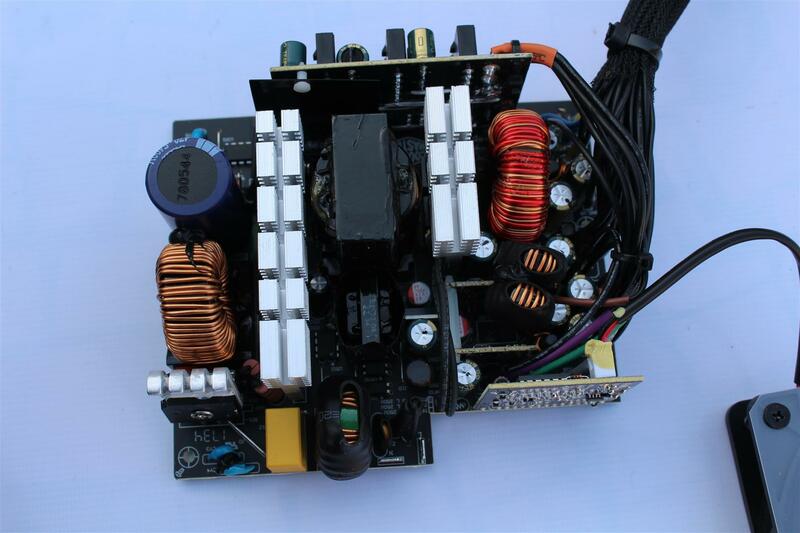 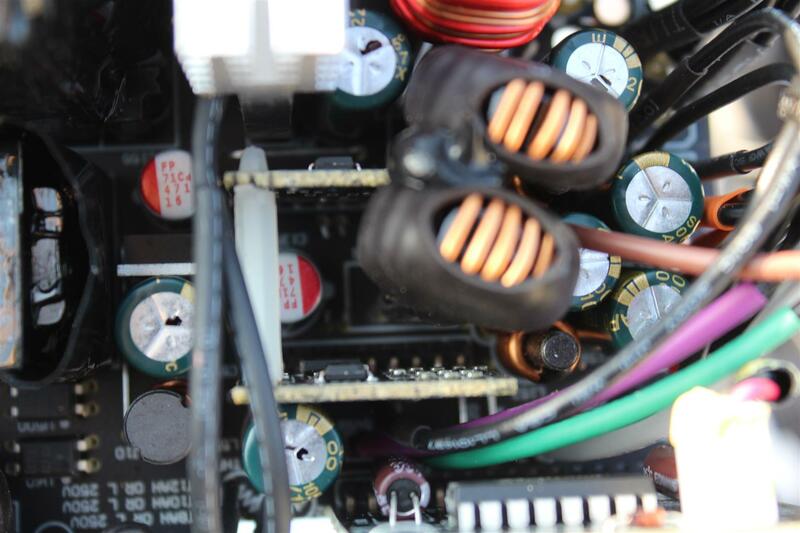 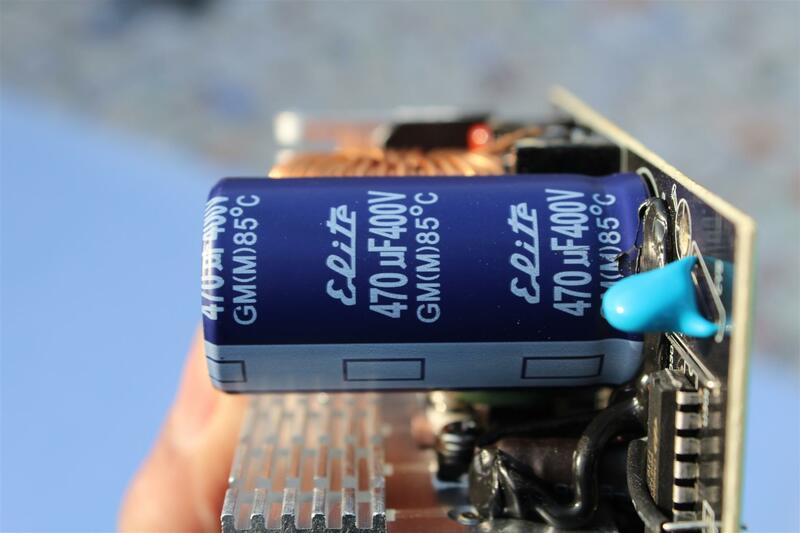 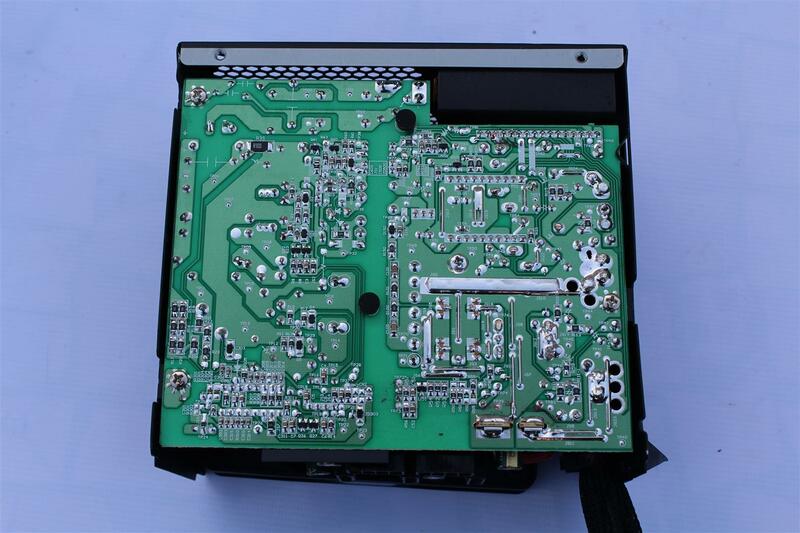 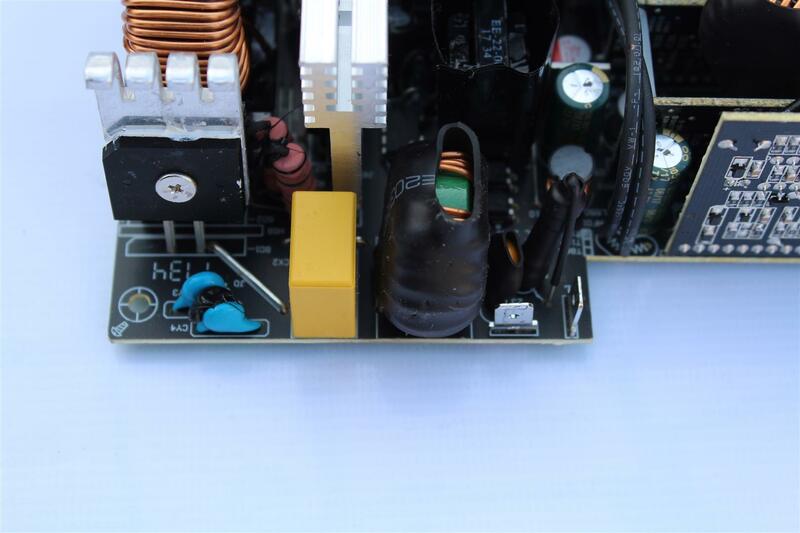 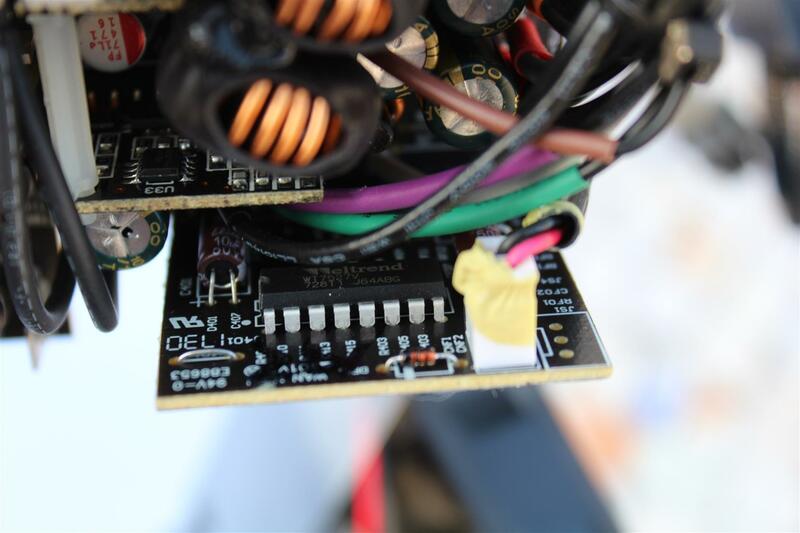 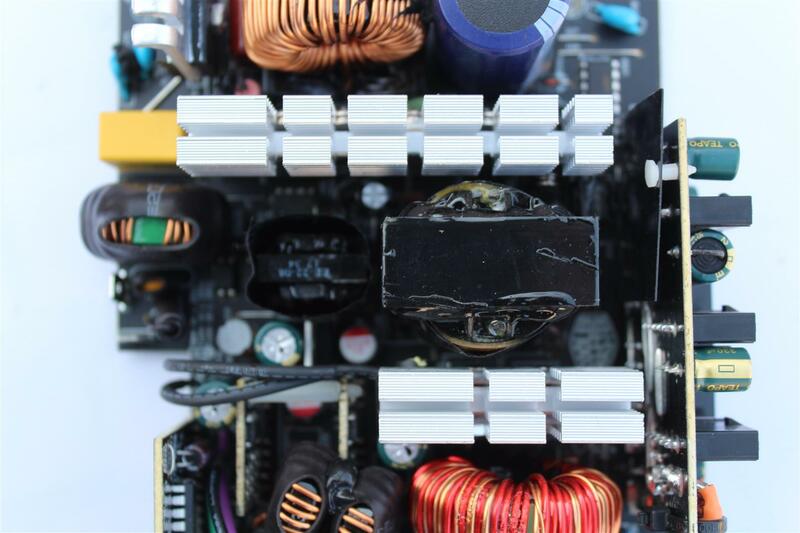 The build quality of Cooler Master MASTERWATT 750 power supply board is very high. 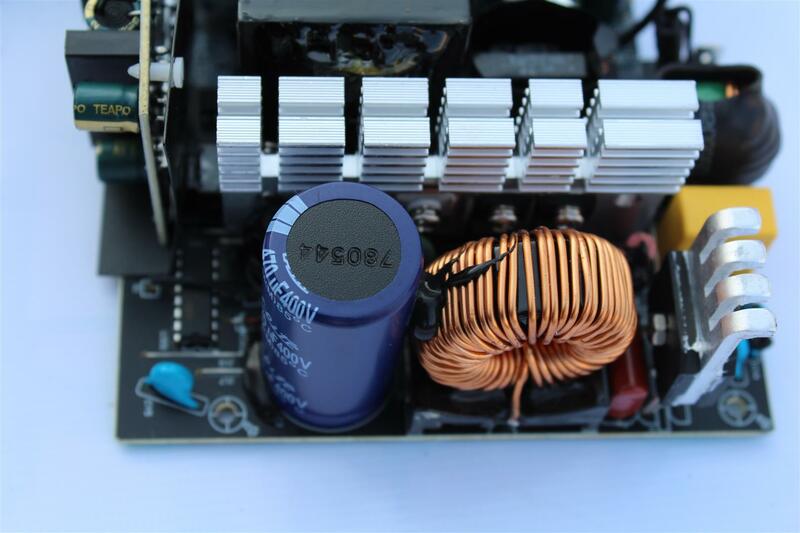 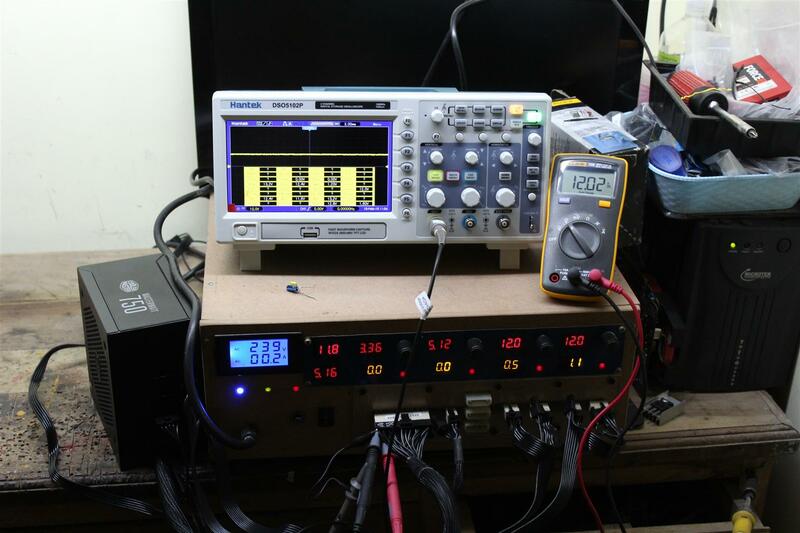 During test the PSU ran smoothly up to 805W of load, when tried to pull more the PSU turned itself OFF showing the proper working of Overload protection . 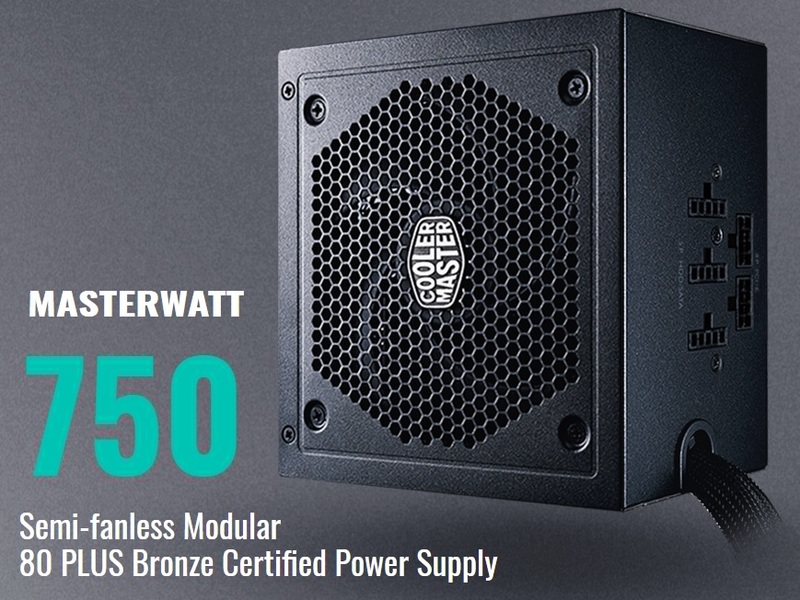 Cooler Master MASTERWATT 750 PSU is a real good PSU in the segment with superb build quality, good voltage stability and 80 PLUS Bronze efficiency. 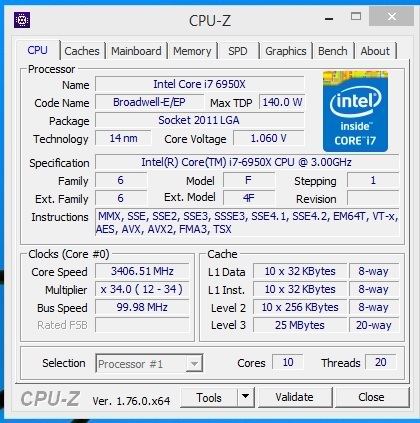 PSU fan do not spins in normal day to day PC work and was very quite at benchmarking and gaming load. 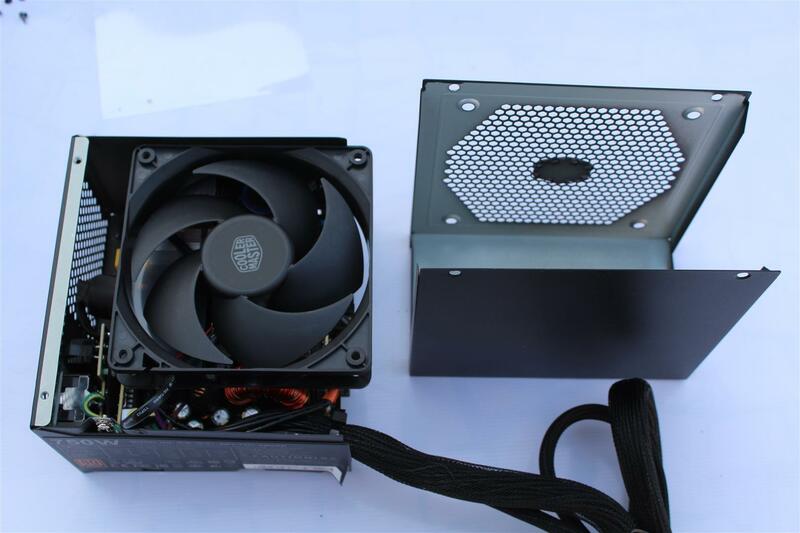 Fan with Active Load tester, was little noticeable under full load too. 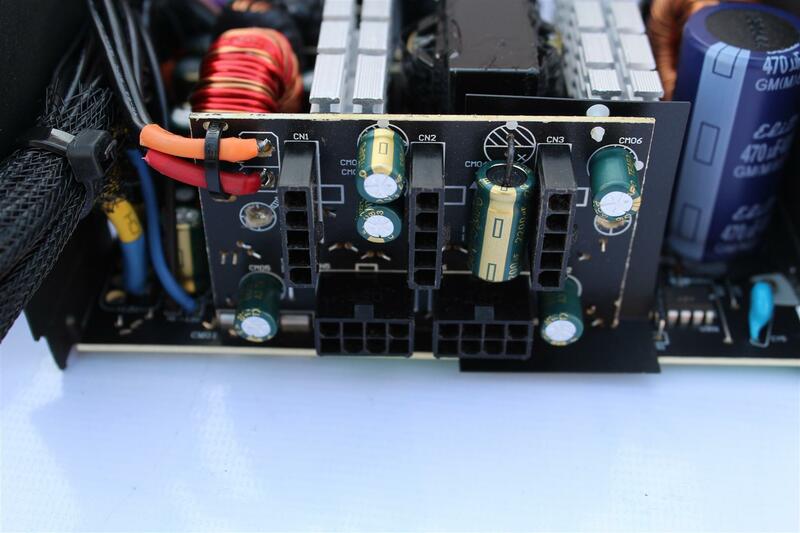 PSU turned itself off with OCP when tried to pull over 805 watts showing PSU is having all the protections active and working great. 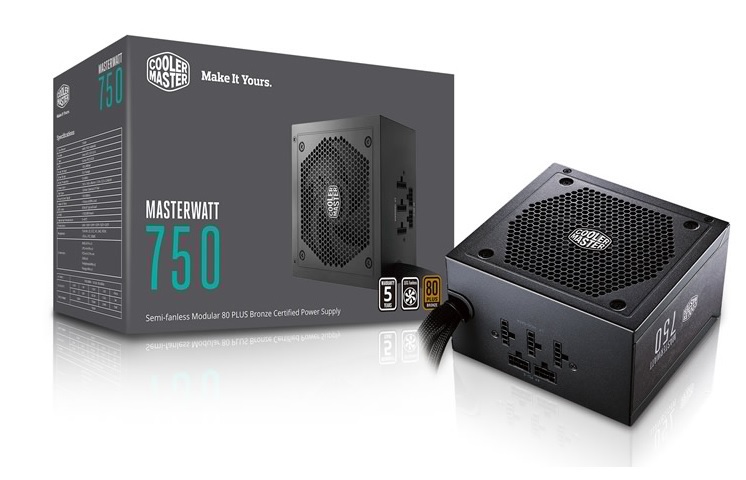 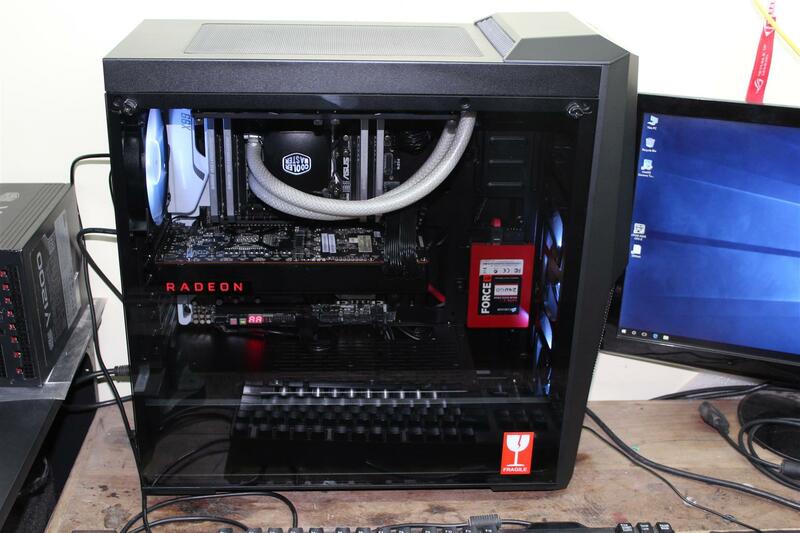 Finally with Semi modular design, Semi fan-less operations and a 5 year warranty Cooler Master MASTERWATT 750 is best option for gamers and midrange pc builder and worthy of our PC TeK Reviews Value Award.